Marketing, advertising, sponsorships – $4.7 million: Majority was advertising including billboards and ads in national business publications as well as sponsorship and outreach events. INDIANAPOLIS – When Gov. Eric Holcomb pitched a direct flight initiative, development of regional cities and an entrepreneurship program in his first session, lawmakers settled on a “business promotion and innovation fund” of $15 million a year. After the first year that ended June 30, all but 86 cents was spent or dedicated, with $4.7 million – the largest segment of spending – on marketing, advertising and sponsorships. Other grants were given to established industries with a limited competitive process; international trade programs and to prop up direct flights – including a now-canceled Fort Wayne flight to the East Coast. But where the money should go is a lot more nuanced, he said. 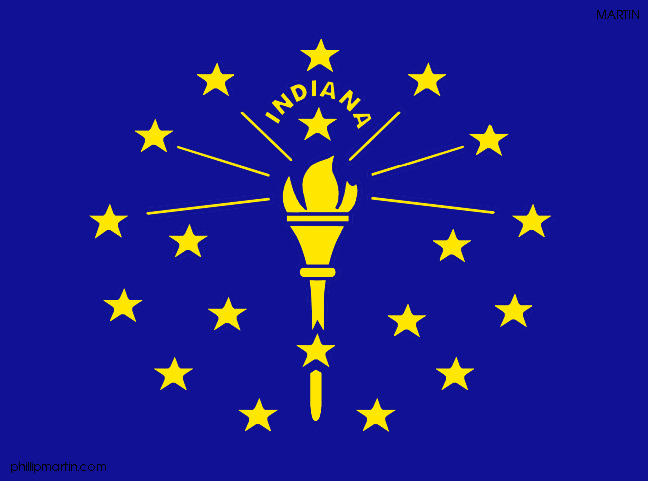 According to the state budget, the fund created by legislators can be used in various areas – to promote business investment and encourage entrepreneurship and innovation; encourage regional development initiatives, establish a new port and provide incentives for direct flights to and from international and regional airports in Indiana. Other purposes are to advance innovation and entrepreneurship education, programs, and practice through strategic partnerships with higher education and communities in Indiana, and support activities that promote international trade. Abby Gras, spokeswoman for the Indiana Economic Development Corp., said some of the programs are performance-based incentives and some are public-private partnership grants. She noted marketing funds have traditionally been allocated by the General Assembly and are being used the same as in years past but out of the new fund instead of IEDC's general fund budget. Almost $3 million was spent on ads – from billboards to print ads in Forbes, the Economist and the Wall Street Journal. An additional $1 million went to sponsoring events to generate development leads. These include the Aerospace Industries Association Conference, Farnborough International Air Show, Indiana Society of Chicago Foundation Event and Indiana Pacers. About $137,000 went to gifts that are given on international trade missions as well as Economic Development Corp.-branded items. After the marketing sector, about $3.3 million was spent on innovation – including almost a million for a new aerodynamics package for the IndyCar Series, the top level of open-wheel racing in the U.S. The aero kits were to be priced not to exceed $90,000 for each racing team, and the grant was given to Dallara – an international car manufacturer with a factory in Speedway that has anchored redevelopment there. Gras said the Dallara contract was to advance the new IndyCar design in terms of speed and safety, and support the future success and growth of the motorsports industry in Indiana. The grant from the IEDC was offered to Indiana-based teams as a match to funding provided by both Chevrolet and Honda. Audretsch said there is a legitimate question whether the state should be investing in new and growing industries rather than existing companies that already provide jobs and tourism. When the fund was established in 2017, the IEDC received a large number of innovation funding requests, Gras said. The agency has worked internally to establish a process for evaluating them. The process includes a standardized application that gathers pertinent details of the project and its potential impact. Submitted applications are then reviewed by an internal committee, which includes members of IEDC leadership and various department heads, and evaluated based on a number of pre-determined factors to help the committee reach a decision on whether or not to support the initiative. Another major use of the fund was to provide incentives for more direct flights to major cities around the world from Indianapolis and other cities. The centerpiece of that effort was a $5.5 million contract with Delta Air to provide a regular nonstop, transatlantic flight from Indianapolis to Paris. The money was split between fiscal year 2018 and the fiscal year 2019. Its maiden flight was in May with Holcomb and legislative leaders on board. Their tickets weren't paid with tax dollars but instead through donations to the Indiana Economic Development Foundation. The jury won't be in on the Paris flight for quite some time but an earlier attempt at a Fort Wayne flight to Newark didn't last. Rebecca Neild, spokeswoman for the Fort Wayne International Airport, said Greater Fort Wayne sought the grant because under federal regulations the airport can't promote a specific route for a specific airline after a year of it being in the market. Greater Fort Wayne also put up $100,000 toward the overall effort. The commercial that was created included a mix of panoramic shots of New York and a young man arriving with a backpack in Times Square. “Nonstop to New York so you can go nonstop in New York,” the tagline said of the daily nonstop service from Fort Wayne to Newark. But United canceled the route in April, stopping the contract immediately. About $91,000 was spent with $60,600 from the IEDC. Audretsch said he thinks the direct flight initiative is smart because it focuses on something that is keeping the state from moving forward.